We are honoured to be able to share with you Christine’s experience of our Day Hospice services! She has a long term, life limiting illness and attended Rugby Day Hospice where she received support for her specific needs. From everyone at The Myton Hospices a big thank you for your continued support and we wish you a Happy New Year! 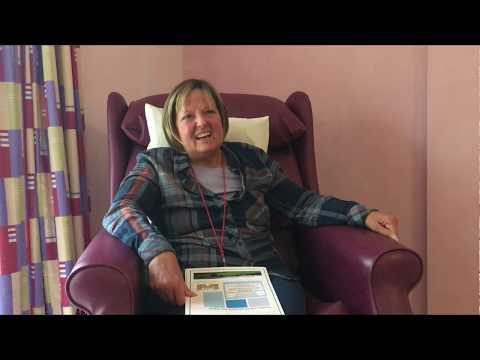 We are proud to share this video of Janet talking about her time on the Inpatient Unit at our Warwick Myton Hospice. 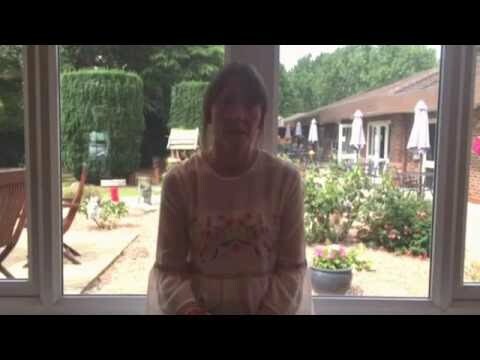 She bravely talks about her diagnosis, why she was referred to The Myton Hospices, and why she was so anxious about coming to Myton. Wow! What an amazing year it has been! We would like to thank everyone who has fundraised, volunteered or supported Myton in any way this year. We wouldn’t be able to do everything we do without every single one of you nor would we be able to raise the £8.8 million needed to keep our services free of charge. A very Happy New Year and we wish you all the very best for 2018! Not many people know at Myton we offer counselling services to children. If you haven’t seen our video below we ask you take a few minutes of your day to learn how our services have helped the Duncan Family. 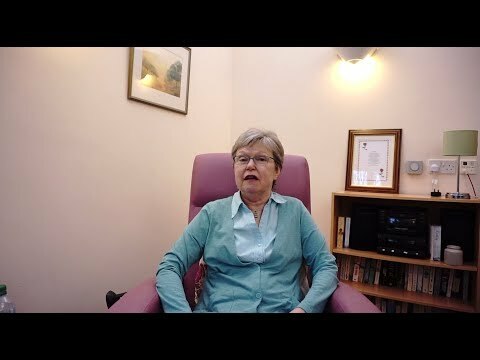 We are pleased to announce that we have joined together with 15 other hospices from the West Midlands, including The Shakespeare Hospice, to create a TV ad campaign entitled ‘Love your Local Hospice.’ The campaign aims to raise awareness of the services that each individual hospice provides in the area as well as highlight the vital role each of the hospices play in the local community. Sally talks to us about her role as a volunteer store collector be sure to watch the short video and see if you could make a difference. When Rugby teenager, Stephen Realf, was diagnosed with a terminal brain tumour, life as he knew it changed forever. 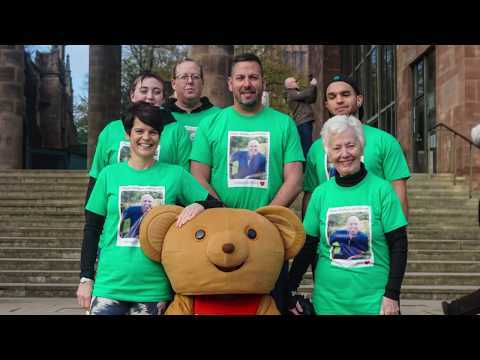 Stephen’s family have kindly allowed us to share Stephen’s story to highlight the importance of discussing your final wishes this Dying Matters Awareness Week. Please take the time today to listen to Stephen’s story and watch the short video. 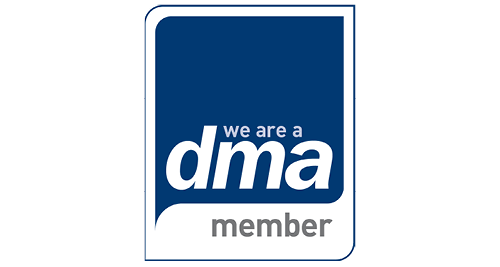 We would like to thank Emma Rushton and Rugby FM for putting together the following video. Who hasn’t had a Christmas where you’ve been forced to wear an itchy Christmas jumper or a colourful paper hat from a Christmas cracker? The likelihood is you probably have. 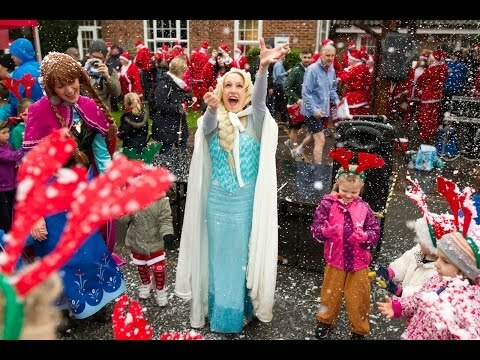 However, when was the last time you walked, jogged or ran around Leamington Spa with your family and friends dressed as Santa? This Christmas, we are giving you the chance to do just that.